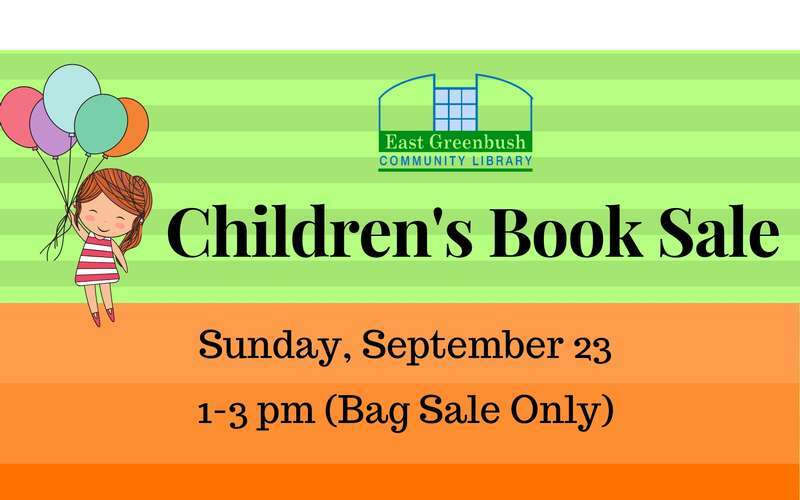 The Friends of the East Greenbush Community Library are happy to sponsor the annual Children's Book Sale on Sunday, September 23rd from 1pm- 3pm. The sale takes place at the Library, 10 Community Way, East Greenbush, there will be a great selection of gently used children's books available for purchase at only $4/bag. Only cash and checks are accepted. For more information contact the Friends at [email protected] or the library at 518-477-7476.